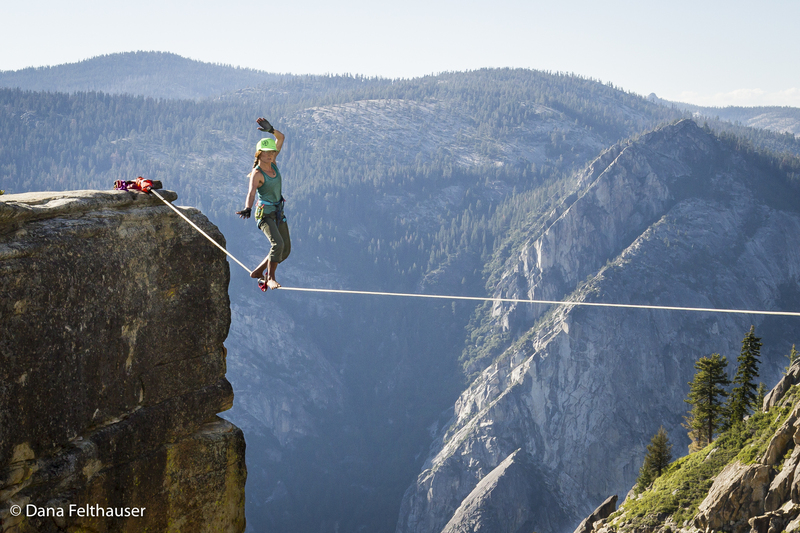 Highline Access in Yosemite National Park – Slackline U.S.
Raptor Nesting Seasonal Closures. Updates on Access: Slackline U.S. and local slackliners have been working with rangers at Yosemite National Park to keep highlining allowed in the park. SEASONAL CLOSURES: Raptor Nesting Season – Rostrum, Lost Arrow Spire and other areas of YNP are closed to climbing and highlining between March 1, 2017 and July 15, 2017. For more information, visit the YNP Climbing Closures page. Lost Arrow Spire – Closure includes all routes on Lost Arrow Spire (Lost Arrow Spire Direct, Lost Arrow Tip, and Lost Arrow Spire Chimney). Slacklining is prohibited at the summit and the top of the adjacent cliff. The Rostrum – Lower Merced Canyon. Closure includes climbing routes on all sides of the Rostrum formation. Super Nova and the Jungle Gym area remain open. Slack-lining is prohibited at the summit and the top of the adjacent cliff. Slackline U.S. and local slackliners have been working with rangers at Yosemite National Park to keep highlining allowed in the park. On Aug 30th, 2016, Slackline U.S. had a conversation with Brandon Latham, Climbing Ranger at Yosemite National Park, about the status of slacklining & highlining the park and how we can work together moving forward. Earlier this year, YNP began enforcing a rule forbidding highlines “over any lake or watercourse.” This was in response to an increasing number of complaints from visitors to the park who were concerned about either the safety & legality of highlining, or upset at the disruption of the natural landscape. The issue was exacerbated, Brandon stated, by a highline rigged over Vernal Falls during an unscheduled presidential visit to the site. The decision to ban highlines on waterfalls and waterways came down from the administration as a means to protect the interests of the larger populations of park visitors, hikers/photographers/general tourists, and was not the decision of the local rangers. The park views waterfalls and waterways as “viewsheds”, the areas of the park that are particularly aesthetic and draw the most visitors. Nevada Falls, Vernal Falls, and Yosemite Falls fall into this category as high profile locations. Rostrum does not, as it is primarily visited by climbers and highliners. The recurring theme in our conversation was ‘low profile.’ In order to maintain our current access in the park and to work towards potentially regaining access to the waterfall lines, highliners should keep a low profile and make an effort to be seen as stewards of the community. This means not drawing unnecessary attention to highlining activities with large groups or rigging highlines in high profile locations on busy tourist days. Additionally, highliners should be following all park rules. Ninja camping, or camping in restricted areas, was specifically mentioned as a known activity which will affect highline access in Yosemite. Establishing new lines is allowed, including placing new bolts, so long as they do not cross waterways. However, we are strongly advised to minimize our impact, to minimize bolting, to avoid high profile locations and to prevent any areas in the park from becoming over-established. The Rostrum was cited as an example of an area that is over-established, however since it is not a viewshed location, this is not currently an issue. Any locations that are more public than the Rostrum should not be nearly as heavily established. Glue-in bolts are allowed. The regulations for the park do not specify any type of bolt or bolting method and this is left up to the highline community to self regulate. With the Access Fund and the American Alpine Club promoting only 316 stainless steel and titanium bolts moving forward, this seems to be a good policy for the slackline community to adopt. Well placed glue-in stainless 316 and titanium bolts are acceptable to the park officials. While there is not currently any permitting system available for the waterfall lines, it was suggested that this could be a possibility in the future if we can maintain good relationships with the park. The YNP rangers are currently working on a new “info sign” for the Camp 4 area and will be including more information about highlining on this sign. Slackline U.S. will be involved in this process. We are also working with Brandon to provide more “what is slacklining” info for park visitors and likely will be providing some of our slackline fliers to be kept on site at the visitor centers and info stations. 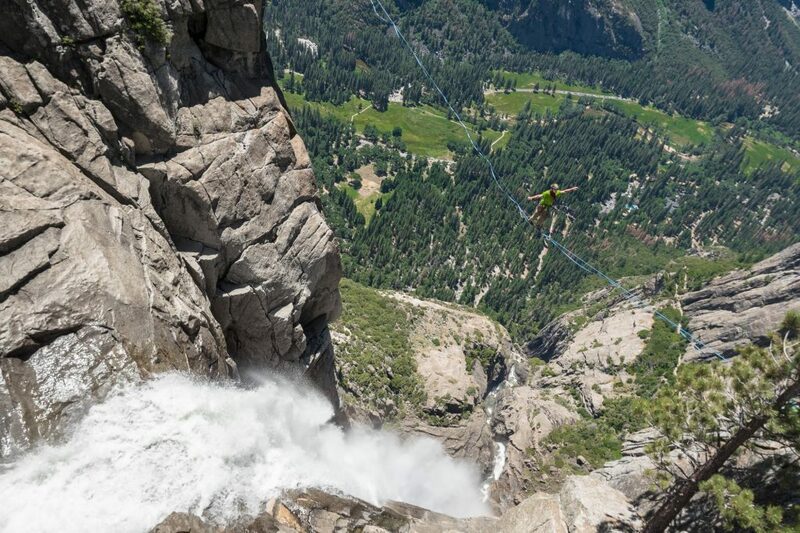 Is highlining allowed in Yosemite National Park? Slackline Regulations on YNP website (link is being updated, in the meantime, see page 10 of the Superintendent’s Compendium for regulations in detail. Officially, highlines are not to be left unattended. However, the park rangers understand the nature of highline rigging and may be amenable to lines being left up for a 2-3 days at a time so long as they are not left unattended for more than 24 hours at any point. If in doubt, contact Brandon Latham at the Climbing Management Office (209) 372-0360, 8am-5pm Monday – Friday. Slacklining in Yosemite (link is being updated, in the meantime, see page 10 of the Superintendent’s Compendium for regulations in detail. This entry was posted in Access Management, Community, News and tagged camp 4, highline access, highline regulations, nevada falls, slackline access, slacklining, taft point, vernal falls, waterfall highines, yosemite, yosemite falls. Bookmark the permalink.